If you have recently purchased a good pair of work boots, tactical boots, or military boots, then the chances are that you want to learn everything you can about caring for them. If you properly waterproof, clean and maintain your boots, they can keep your your feet safe and comfortable for a long time. Here, you will learn a few maintenance tips, designed to help you get the most life out of your boots. If your new boots are not already waterproof, there are many products available online to help with waterproofing, but you should use a thick leather conditioner instead of something that is thin and watery. This creates a barrier from water, preventing things like mold and rot. Simply slather on the conditioner on the leather parts and give it a little time to sit. Then, use a heat gun or hair dryer to “activate” the product. As the conditioner warms, it soaks down into the leather. Use a towel or rag to remove the excess conditioner and buff clean. It sounds crazy but the toilet wax waterproofing technique is considered a great way to waterproof boots! Truthfully, you might be surprised at just how long your boots last once you condition the leather. Allow mud to dry before attempting to remove it. This way, you can simply knock off much of the caked-on mud rather than grinding it into the leather. Brush dust and dirt off of your boots with a soft brush such as a real horsehair brush. Apply boot polish to leather areas when needed. Brush the polished areas with the horsehair brush. Tan suede boots, such as military desert boots, are a bit more difficult to clean. Because suede is soft, you will need different techniques. Brush the boots with a stiff brush using moderate pressure. This removes excess dirt and debris. Then, run lukewarm water over them – but do not soak them completely. Use a mild soap, lather up the fingers of one hand, and use that hand to gently massage out any further dirt in the suede. Rinse again and air dry. 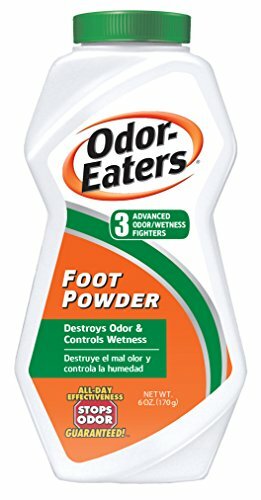 If you are concerned about foot odor, you have options. You can shoot some Lysol disinfectant spray into your boot at the end of the day and this will kill odor-causing bacteria. You might also choose to sprinkle in some foot powder before you put on your boots since it will help keep your feet dry, no matter how hot and sticky the conditions that day. Finally, if your feet sweat a lot, make sure that you invest in high quality, moisture-wicking socks. These will go a long way to keeping the insides of your boots dry and help them last longer.